Provide strong statistical leadership in the process of drug development. The Project statistician develops or assists in the development of protocol designs, clinical plans, and data analysis plans in collaboration with physicians, veterinarians, and/or medical colleagues. The Project Statistician is responsible for working with research associates and scientists to establish a reporting database and for analyzing data for these types of studies. ●　Operate in collaboration with study personnel to provide input on study protocol, design studies and write protocols for the conduct of each study. ●　Assist in or be accountable for selecting statistical methods for data analysis, authoring the corresponding sections of the protocol, and conducting the actual analysis once a reporting database is created. ●　Collaborate with data management in the planning and implementation of data quality assurance plans. ●　Maintain currency with respect to statistical methodology, to maintain proficiency in applying new and varied methods, and to be competent in justifying methods selected. ●　Participate in peer-review work products from other statistical colleagues. ●　Collaborate with team members to write reports and communicate results. ●　Assist with, or be responsible for, communicating study results via regulatory submissions, manuscripts, or oral presentations in group settings, as well as for communicating one-on-one with key customers and presenting at scientific meetings. ●　Respond to regulatory queries and to interact with regulators. ●　Understand disease states in order to enhance the level of customer focus and collaboration and be seen as a strong scientific contributor. ●　Perform work in full compliance with assigned curriculum(s) and will be responsible for following applicable Corporate, Medical, local, and departmental policies, procedures, processes, and training. ◆　M.S. or Ph.D. in statistics or biostatistics. 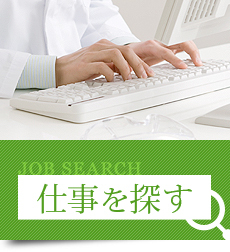 ◆　Rich experiences in healthcare field as a statistician with science background such as mathematics or epidemiology. ◆　Statistical and methodological knowledge in clinical development, epidemiology or related field. ◆　Regulatory knowledge of clinical trial methodology and statistics. ◆　Ability to build relationships with individuals and teams. Copyright © e-製薬 All Rights Reserved.